↑ "Archimedes (c.287 - c.212 BC)". BBC History. 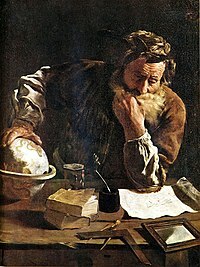 http://www.bbc.co.uk/history/historic_figures/archimedes.shtml. Retrieved on 2012-06-07.